Welcome to the Tennis Academy! Think of a sport that is very popular in the Algarve, has a club social scene and can be played by those well beyond middle age? Chances are you'll be thinking of golf. 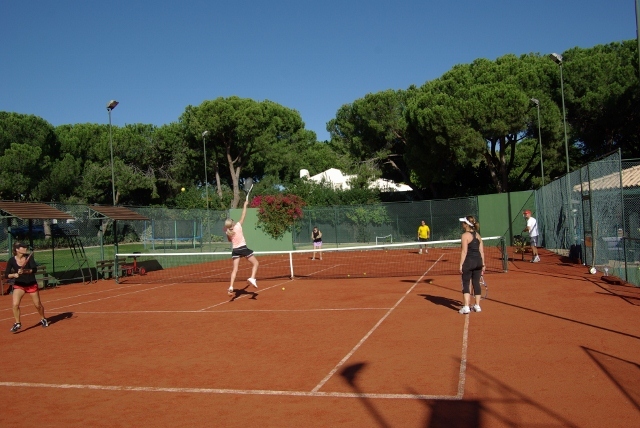 But pay a visit to Jim Stewart's Tennis Academy (JSTA) in Quinta do Lago and you'll find a relaxed oasis, where people of all ages and abilities come together to enjoy not only the tennis but the social scene too. From juniors to those of retirement age, many are attracted to a sport that is fun, challenging - and provides great exercise. It's a winning combination, and on any given day you'll find a real mix of ages and standards. On one court, one of Jim's coaches is instructing a newcomer on the basics; on the next a couple of talented youngsters are energetically slamming balls at each other; whilst on another a foursome of seniors are reaching the end of a friendly doubles - rounded off with some welcome refreshments at the bar. The time between 16:00 and 17:00 is generally given to our Kids` and Schools` Programmes. Click here for further information should you have children interested in joining. 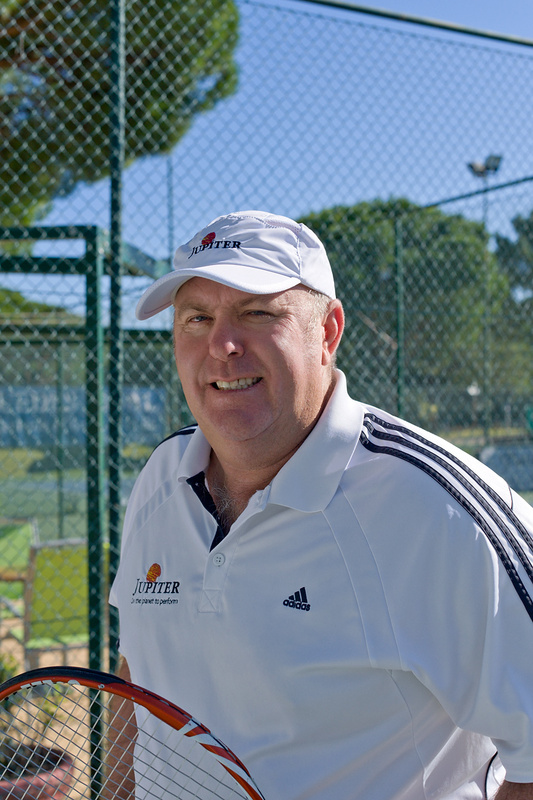 Jim Stewart's Tennis Centre, in Quinta Do Lago, has closed down. We also have a restaurant, swimming pool and we run kids-clubs in the holidays! We are situated between Quinta do Lago and Vale do Lobo on the Estrada do Lobo. 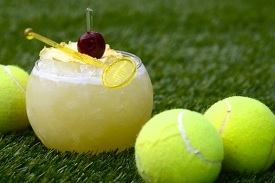 Join Us For Tennis & Cocktails Each & Every Friday! Congratulations to Our Under 14 National Team Champions! Come and Play Pickleball in the Algarve at Jim Stewart's! Have you ever heard of Pickleball? 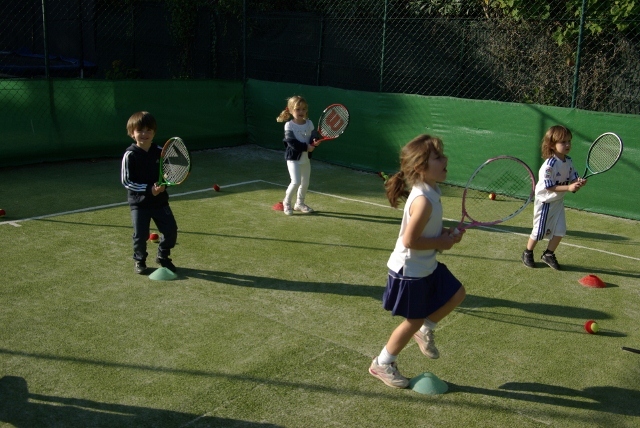 Well it's the fastest growing sport in the USA and now you can play it right here in the Algarve, Portugal at Jim Stewart's Tennis Academy! 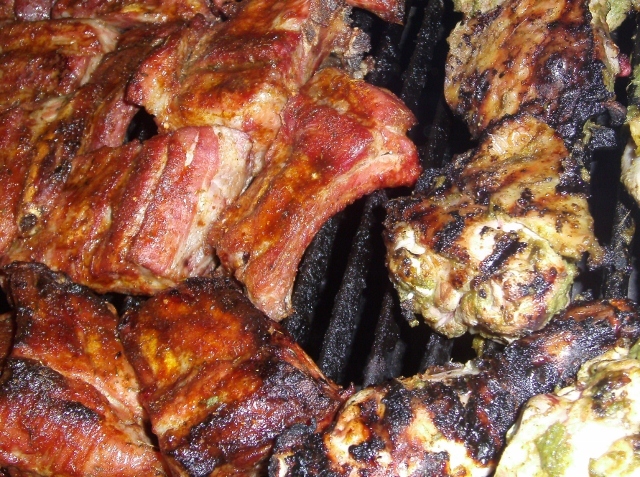 Every Saturday from 17:00 - 19:00, Kids´ Round Robin with BBQ.